Amid increasing petrol and diesel costs on Pakistan's forecourts motorists are once again being encouraged to make their money go as far as possible by following some green driving tips. Below are our top ten tips for getting the most out of your fuel. Ensure your car is well maintained. A poorly tuned engine could be using up to 50 per cent more fuel. Travel at times when queues are shortest. Sitting in congestion uses up more fuel and creates more pollution. Eliminate short journeys if practical. Walk or cycle to the end of the road to pick up the paper. Don’t carry unnecessary weight. Check you have got only the essentials in your boot and take off the roof rack if you don’t need it. Look at the option of car sharing with friends and family, particularly on the school run. The majority of cars run at their most efficient at 50 kph. Every 5 kph above that you drive, you will lose six per cent of your fuel economy. Make sure you know where you are going before you set off. An estimated 350,000 tonnes of fuel is wasted every year by drivers who are lost. Driving smoothly is much more efficient. Hard acceleration and sudden braking could use up to 40 per cent more fuel. 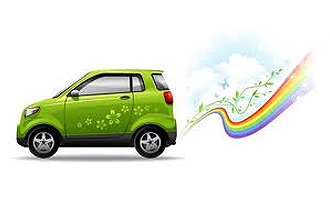 Consider changing your car to a smaller, greener model. Is it absolutely necessary to take the car? The bus or train is much more efficient and can often be quicker, especially during rush hour traffic.